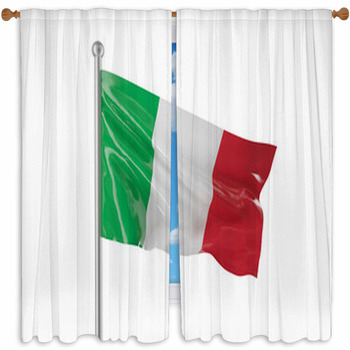 Spice up any living space with these Italian Flag Window Curtains! 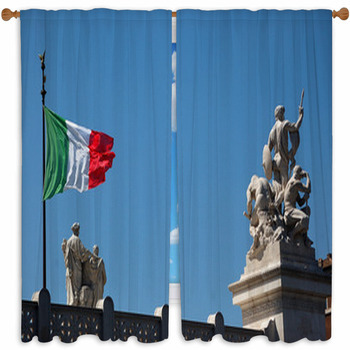 You can get a simple, Italian flag design with the national green, white, and red colors or you can get more detailed designs such as the image of the national flag with the silhouette of an Italian boating down one of the famous waterways in Italy. In the background is an outline of an Italian city landscape. 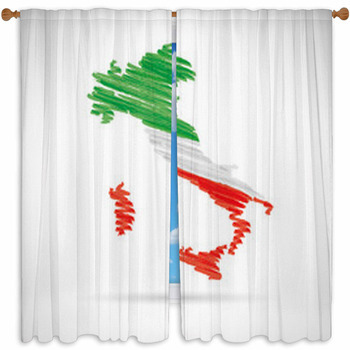 Create a unique look with the design of the Italian flag that is put together with puzzle pieces or get a design of the flag painted on a cement wall with a crackled finish. 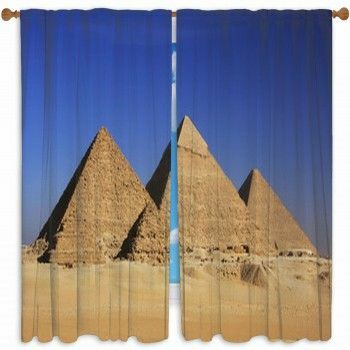 You can also get a mosaic design of the flag. 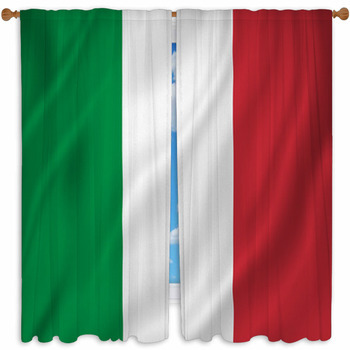 Other unique options are available as well like the graphic image of three Italian flags waving in the wind together or an image with the word ITALY in font with the national colors. 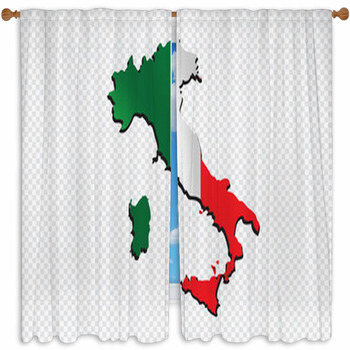 Be patriotic with the graphics of the country's outline in Italian colors on your flag window curtains. 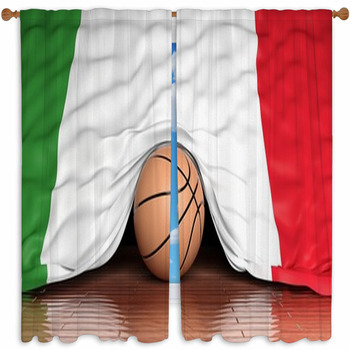 Get an image of the flag with a soccer ball in the middle to show your support for the national team. 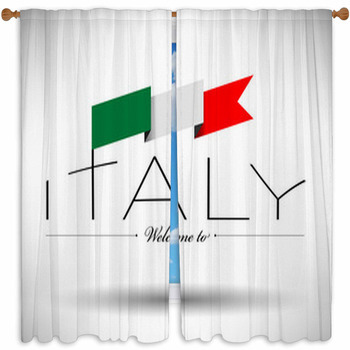 Also available is the flag with the outline of a soccer player in mid-air kicking the ball. 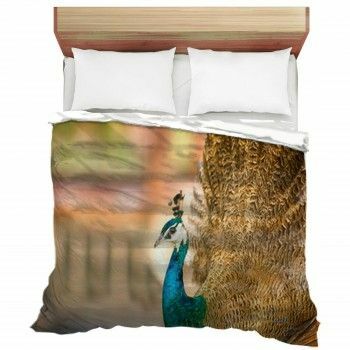 Or get the illustrated design of two hands shaking in the center of the image. 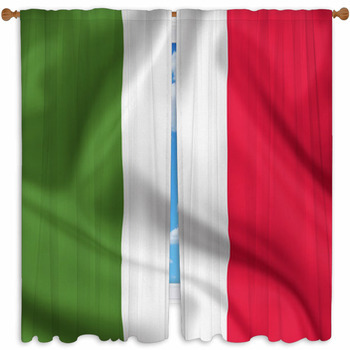 One hand has the American national flag on it and the other has the Italian national flag on it. 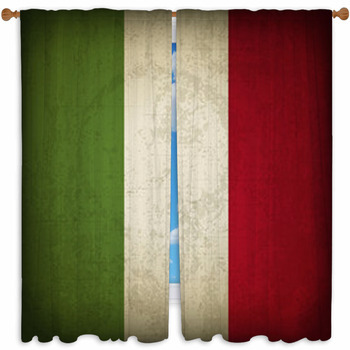 Showcase their cuisine with the custom Italian flag window curtains that feature the flag designed with food. One image has tomatoes on the right with potatoes in the center and greens on the left. They come together to create the flag colors. Or get a graphically designed image with red forks and spoon on the right with green forks and spoons on the left. 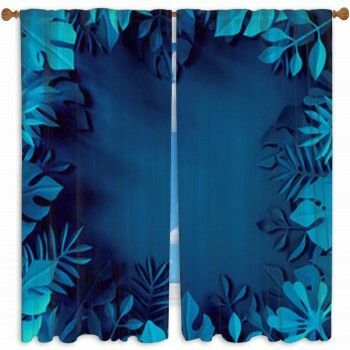 In the center is a white background.